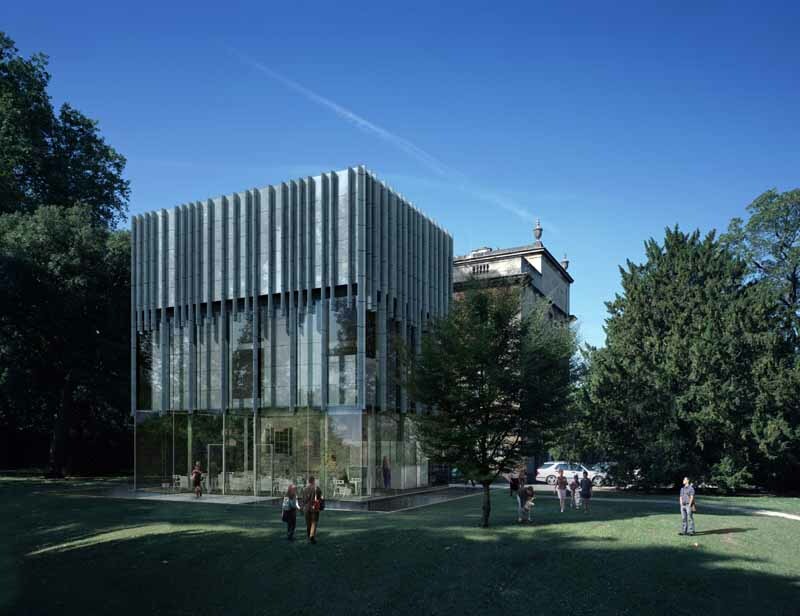 The re-opening of Holburne Museum has injected an additional boost to Bath’s already thriving art scene. Contained in a late 18th-century house, built in the typical Georgian neoclassical style with golden Bath stone, and situated at the end of one of Bath’s most impressive streets, the Holburne Museum is a magnificent treasure. Though until quite recently, much less could be said of the inside. The collections are, in a word, eclectic. There’s a folding, golden cutlery set, a fine fish-skin scent bottle and a collection of miniatures. Most searing on the mind was the mawkish porcelain monkey that would have looked more at home atop a skip; a monkey which cost its owner very dearly – Sir William Holburne believing it to have been made for a German Emperor. What could be more fitting then, for the Museum to open with an exhibition of the collections of another obsessive hoarder; the artist Sir Peter Blake, whose exhibition ‘A Museum for Myself’ sees the temporary exhibition space of the Holburne transformed into a trove of clutter and kitsch. One section of the exhibition is entitled ‘Side-Show’ – though it might have been renamed ‘Victorian Freak Show’ without a loss of descriptive meaning – and contained a bizarre selection of items, some of which were purchased in Bath where Blake lived for many years. There is a novelty to much of Blake’s personal possessions, like the visiting cards and performance shoes of the now-fabled Victorian dwarf General Tom Thumb. Other items are a little nauseating; a rabbit with antlers and a lamb with six legs, one of which is protruding from its head. This unusual collection, concocted from Sir Peter Blake’s famous eccentricity, shows his fascination and affectionate enjoyment of oddities, an affection born, perhaps, from an empathy and understanding with the social misfits and outcasts of society with which Blake finds identification. However, there were other items that documented Blake’s association with the opposite end of the social spectrum. Under the heading ‘Celebrity’ are artefacts of popular culture – popular in the uttermost sense of the word. There’s a hoard of Elvis memorabilia in the form of lampshades, ashtrays, dolls and newspaper cuttings. In addition there are a few personal pieces from friends; notably, a hand-written copy of the Beetle’s signatures by Damien Hurst. ‘Celebrity’ demonstrates Blake’s fascination with icons, but also acts as a reminder of Blake’s influence on popular culture – this was, after all, the man who introduced Britain to denim. It is an influence epitomised most of all by a couple of faded, original cardboard cut-outs from Blake’s design for the cover of music’s most iconic album; Sgt. Pepper’s Lonely Hearts Club Band. The exhibition, though limited, is fascinating. And like Tracy Emin’s ‘My Bed’, the collections really do provide a tangible insight into the unique mind of a fascinating artist; an artist who has a strong connection to the equally unique city of Bath. Alexander Blanchard is currently studying for a degree in Politics and Philosophy and is co-editor for the Arts and Culture section at Redbrick paper. Enjoys nothing more than a good cup of tea. Follow him on @blancharder.